Weather TV Channel / China Weather TV is a TV channel that was established by China Meteorological Administration in May 2006. The channel provides meteorological information and other related life service information. It is also the first meteorological TV channel in China. In January 2013, the channel won an award naming it "The most valuable TV media for public welfare spreading". 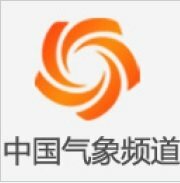 China Weather TV is a meteorological TV channel established by China Meteorological Administration and undertaken by Huafeng Meteorological Video Information Group. It began broadcasting on May 18, 2006. Its purpose is "Prevent disasters, serve people". It provides public meteorological service and meteorological disasters preventing service.